challenges that others say are simply too difficult is something we’ve always done successfully. We have staffed large and small projects for all sizes of companies. The tenacity, commitment, and determination of our team make it all possible. The good fortune to grow businesses and help change lives in the process. Plus, I get to do what I love every day! 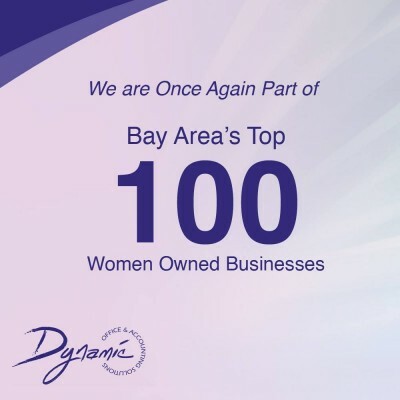 Our firm is incredibly proud to be in both the 2% of women owned businesses and in the 5% of all American businesses that have generated over a million in revenue. I’d have to say rebuilding after the recent financial crisis. But due to our team’s determination and incredible dedication, we were able to bounce back once again! We’ve made it through major recessions and some very difficult setbacks. We’re thankful for these struggles, though, because without them, we wouldn’t have discovered some of our true strengths! It’s all about delivering a Dynamic experience to people—listening to their needs, acting in their best interests, and providing them with fast, personable service. Basically delivering what we say when we said we would; and when we cannot, we communicate with the right people immediately and not at the last minute! I love being in the kitchen cooking for family and friends—bringing people together through food is the best! I have a crazy off-the-wall sense of humor and I have no problem making fun of myself as long as laughing is involved. I cry like a baby at Hallmark family movies. I have never dyed my hair. I speak fluent French. I love Rice Krispy treats! Grow our current Executive Recruiting team by 8 additional members by 2016, and continue our East Coast Division’s expansion. On a personal note, I would like to speak at least 2 more languages: Spanish and Italian.